Science Night featured many science-based stations where students and their families could experiment with science and take home their projects. Principal Jennifer Granholm, second from left assists Aurora and Kolton Pultorak with their harmonica assembly. At left is Isabella Forbes, a volunteer at the event. NEW HAVEN – New Haven Science Night was an overwhelming success according to students and family members in attendance. The hands-on activities and experiments presented a fun take on science experiments and ended in some pretty amazing projects to take home and enjoy. Stations were set up around the cafetorium area and in the hallway nearby with a wide range of scientific projects. In the hallway was an amazing air powered rocket assembly station where students colored and then assembled their rockets that used a straw and the students own breath to “launch” their creations. Inside the science exploration continued with galaxy jars, slime creation, harmonica building, mini magnifiers and chromatography butterfly artwork. 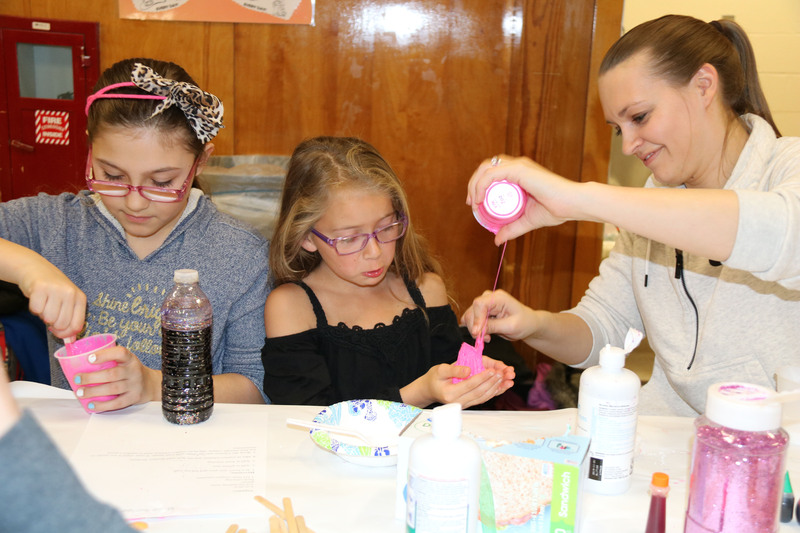 Ella Collins and Kayden Clarke create slime with the help of Holly Fodora, a parent volunteer. Students learned how a water drop can create a mini magnifier and recycled water bottles can hold their own personal galaxy. They also explored the science of sound by creating their own simple harmonicas using craft sticks and rubber bands. Another popular station was the slime table where students learned about chemical reaction as they created their own version of slime. 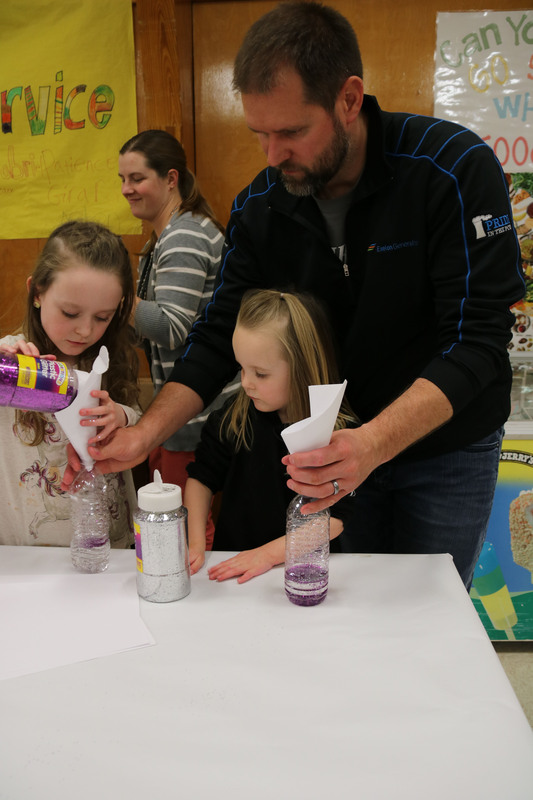 Tim Parkhurst helps daughters Mila and Aria with the assembly of their galaxy jars at the New Haven Elementary Science Night. In addition, a quiet area was set up for students and their families to sit and add their own artwork to a “tablecloth” with markers and crayons provided. A snack table was also offered with items available and donations accepted but not required. 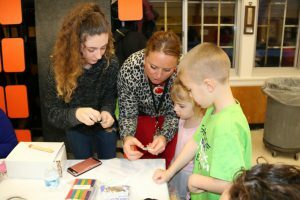 New Haven Elementary Principal Jennifer Granholm was pleased with the turnout and credited the many parent volunteers for helping make the first Science Night at the school such a success.